A plan for salmon recovery was introduced by Washington State's Governor in 1998 and modified in 1999 to include ESA listed species such as bull trout. The objective of the modification was to provide salmon habitat recovery funding in Watershed Resource Inventory Areas (WRIA's) not supporting anadromous salmon. In 1999 the Washington State Legislature initiated the Salmon Recovery Funding Board (SRFB) to provide grants focused on the protection and restoration of salmon habitat in Washington (RCW 77.85). As an integral part of the State's salmon recovery effort, Lead Entities were established in 1998 by the Washington State Legislature (RCW 77.85). Lead Entities are watershed based organizations that are locally focused on the solicitation, development and prioritization of salmon habitat restoration and protection projects submitted annually to the SRFB. Currently there are 27 Lead Entities distributed throughout Washington State. Each Lead Entity uses operation grants to coordinate and facilitate local salmon recovery efforts. Within these efforts are several processes such as maintaining a Lead Entity organization, the establishment and maintenance of restoration and protection strategies, recruiting local stakeholders to the process, maintaining the Habitat Work Schedule database, the solicitation of projects and the creation of an annual habitat project list to be submitted to the SRFB. The Salmon Recovery Act facilitated the establishment of the Pend Oreille Lead Entity (POLE) in June 2000. The focus area for the POLE is WRIA 62 in northeastern Washington (see inset map). The Kalispel Tribe of Indians is under contract with the Recreation and Conservation Office (RCO) as the Lead Entity for WRIA 62. 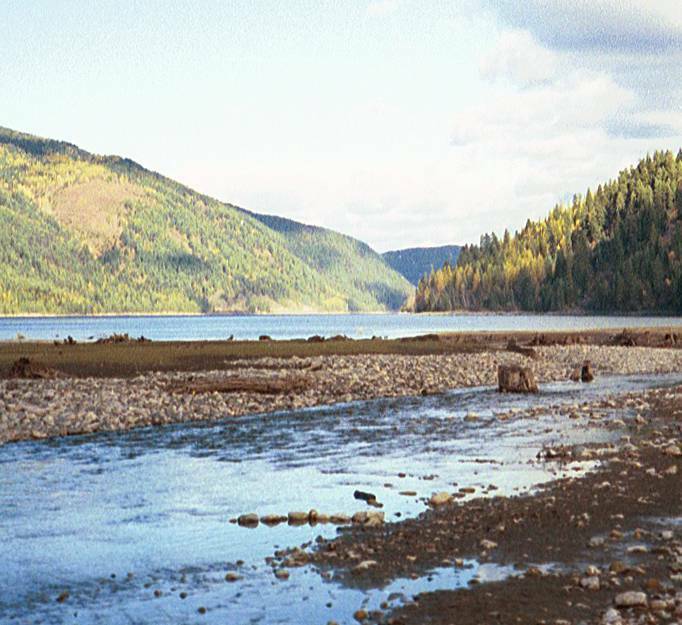 The Tribe provides the administrative forum, as supported by Technical (TAG) and Citizens (CAG) Advisory Groups, through which local salmon recovery efforts are coordinated. In 2004, the Lead Entity, CAG, and TAG officially became the Pend Oreille Salmonid Recovery Team (POSRT). The POSRT initiated and developed the Strategy for Protection and Improvement of Native Salmonid Habitat in 2005 with a revised version released in 2007 (POSRT 2007). The Strategy focuses on local salmonid habitat protection and improvement for our 3 focal fish species (native bull trout, westslope cutthroat trout, pygmy whitefish), as well as public education and involvement in the process. The members of the Recovery Team use an inclusive approach that fosters public participation and strives to incorporate the diverse perspectives and opinions of the community.